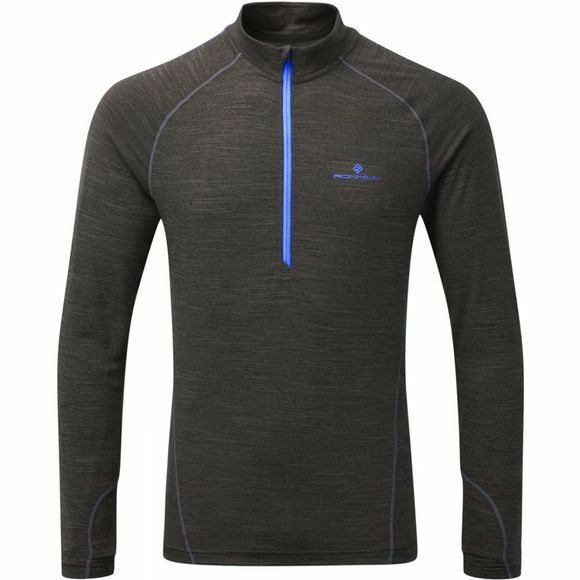 The Men's Stride Thermal Long Sleeve Zip Tee from Ronhill is a warm top that will keep off the wintery chills when working out in cooler conditions. It has a long zip at the front for ventilation should you need it while the high neck helps retain heat when the zip is fastened. The long sleeves offer more coverage while the soft fabric and flatlocked seams are comfortable next to the skin.